Madison House Inc. and Front Gate Solutions will bring SXSW goers an epic day party on Saturday, March 19 from 12:00 pm – 7:00 pm in the form of their event Breakfast Beats & Afternoon Treats. Featured acts include Rival Sons, Lynx and Van Ghost. The event will be held at 1711 South Congress in Austin. Free tacos, beer and other goodies will be provided. 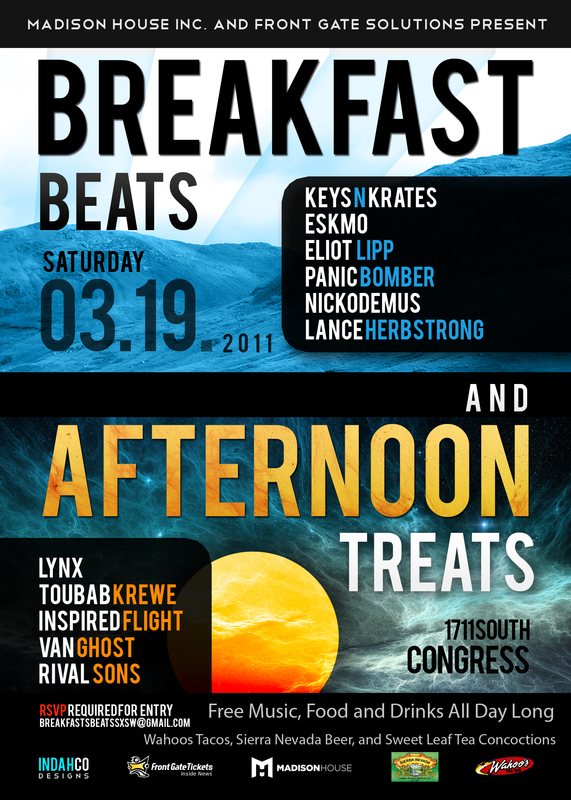 In order to attend, you must send an RSVP e-mail to breakfastbeatsSXSW@gmail.com.